Powerful Studio Quality Sound, Anywhere You Go. While there are hundreds of portable Bluetooth speakers on the market, none of them were developed with musicians in mind – until now. Meet iLoud – the first portable speaker for musicians. We’ve created a portable Bluetooth speaker that combines superior power with spectacular audio resolution and amazing bass response. And IK Multimedia's with over 16 years of pro-audio engineering expertise — plus our position as the leading developer of mobile music-creation apps and accessories — we know what we’re doing. For the first time ever there's now a portable Bluetooth speaker that offers you the full power, clear sound, deep bass and stereo image of your studio monitors. No matter whether you're mixing your next masterpiece, practicing on the go or just listening at home, iLoud provides an unparalleled high-quality music experience. 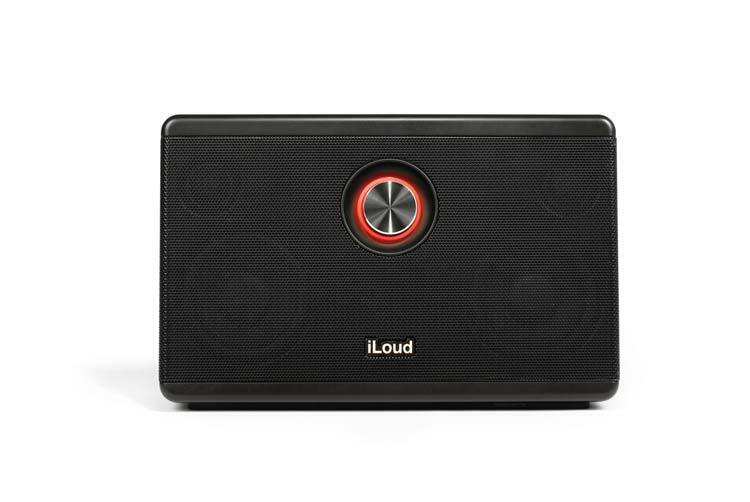 As its name implies, iLoud is much louder than your average portable Bluetooth speaker. With a full 40 Watts of sonic power, iLoud sounds 2-3 times louder than comparable-sized speakers. It provides a richer, more powerful sound for any type of music style from rock to hip-hop to electronic music and beyond. It allows you to reproduce your music – in every possible mobile situation – as accurately as you would in the comfort of your studio. Years of pro-audio experience and innovative engineering solutions have contributed to our ability to produce a speaker this powerful in such a small enclosure. The sound quality and fidelity of iLoud will absolutely blow you away. Though the first thing you'll notice about iLoud is its namesake volume, the second thing you'll notice is how clear it sounds. Its high-fidelity studio-style sound is far beyond what you can get from conventional portable Bluetooth speakers. Thanks to its time-aligned 2-way system, precision custom neodymium loudspeakers, tuned bass-reflex, non-resonant enclosure and DSP processing, iLoud offers an ultra-accurate frequency response, exceptional bass response and stereo imaging that cannot be found in any other portable Bluetooth speaker. With iLoud you can be confident that any type of music will be reproduced with the accuracy normally found only on high-grade studio monitors. Even highly demanding sound textures like you find in classical, jazz and acoustic music will come to life with a precision and musicality that you've never heard before from a speaker of this size. Here’s where it gets interesting. Grab your guitar and plug it into iLoud, plug in your mobile device, launch your favorite mobile app like AmpliTube or VocaLive and start jamming and recording. iLoud features a built-in iRig circuit for directly connecting a guitar or a dynamic microphone which lets you take advantage of the real time sound processing of your favorite mobile apps. iLoud might offer the big sound and fidelity of a high-end system but its small enclosure ensures that it can be easily carried anywhere in a laptop bag or backpack. It has the overall dimensions of an iPad, is only 6 cm (2.3”) deep and features a tilted shape for optimal listening on a desktop. 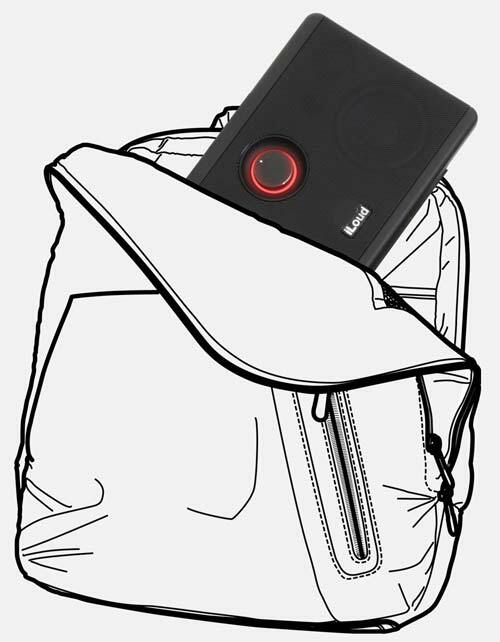 Thanks to its long-lasting battery, iLoud is the ideal speaker to be carried around by mobile musicians whether they're composing, recording or they simply want to listen to high-quality music anytime and everywhere. 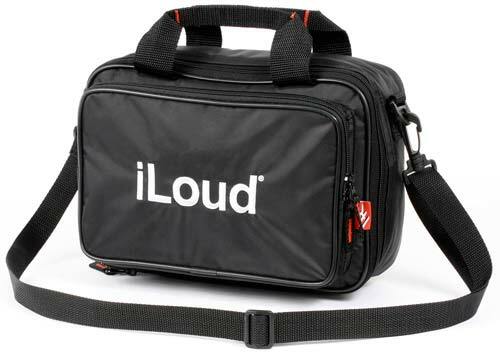 To protect your iLoud when you’re carrying it around, you can order the iLoud Travel Bag, a durable, 100% polyester case featuring a stitched-in iLoud logo, adjustable straps and a zippered pouch for cables and other small items. Buy the iLoud Travel Bag now! 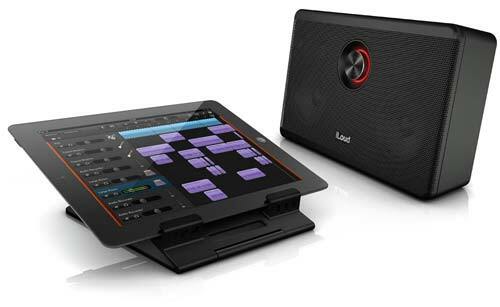 iLoud was designed with the demands of musicians in mind. It's sound quality is so good that you can use it to make music — just imagine how good it sounds when you use it as a portable wireless speaker system. It gives you the convenience of a wireless connection and the performance of a hi-fi speaker — offering a superior listening experience at home, with your friends or on the go.